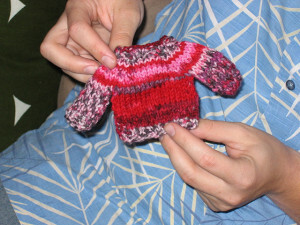 Have you accidentally shrunken your favorite sweater? Or maybe you have a stubborn stain that just won’t come out? Truth is, washing our clothes is something we take for granted until it just doesn’t work like we want. Most cleaning is really best left to professionals, especially large or delicate items. If you find yourself needing to clean items at home, we put together a simple guide to get the best results. 1. Follow the Care Tags. These pesky little white tags aren’t just for decoration. Each icon on the tag means something – at first, it may seem like an alien language, but once you’ve got the basics down, you’ll be an expert in no time. Here’s a handy PDF guide to symbols included on each garment. Often we hear of customers who have accidentally ruined clothes or bedding because they laundered at home. 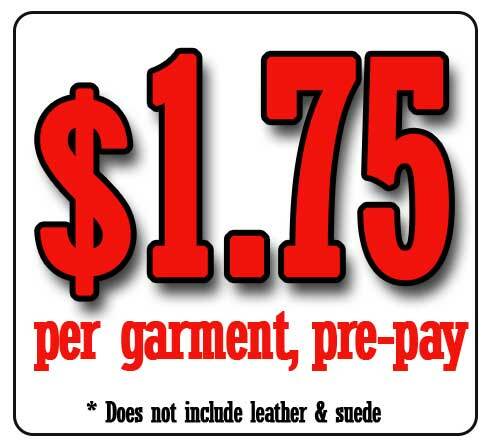 This is a risky choice – it may work out, but there are important reasons that the tag says dry clean only. Home washing machines can be very hard on clothing or bedding, especially the older top-loading types with a central agitator. This can destroy the item in as little as a single wash. Other times, the soap used in a washing machine can do irreversible damage. 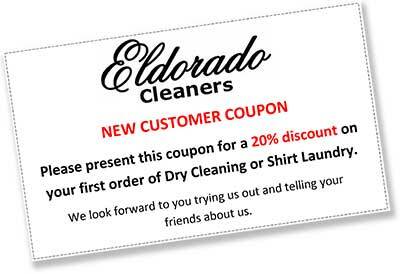 Professional Dry Cleaners like Eldorado Cleaners use a solvent that removes dirt and stains but leaves the fibers in tact. Separating colors might be the first thing you learned about laundry. White shirts should never mix with a pink sweater because color can bleed out of garments with excess color pigment. Yet, you wouldn’t believe the number of people who have accidentally created light pink socks or purple undershirts. It’s especially important to separate colors when you buy something new. The process of coloration leaves a lot of loose pigment in the garment and the first wash will release a lot of the excess pigment. Each subsequent wash will release less and less color, but washing in the wrong temperature can start the process all over again. The water quality that your washing your clothes in plays a big part in the process. Most American homes have hard water, which can actually leave a film on the fibers of your clothes causing them to feel rough, wear more and fade faster. The best solution is to get a whole house water softener and filter. From an environmental prospective, it makes more sense for a small stain to be treated with a spot cleaner and hang out to dry. Instead, millions (perhaps trillions) of gallons of water are wasted washing clothes needlessly. Afterwards, the water is transported to a treatment facility where it is cleaned at an enormous cost and effort. We suggest wearing clothes one to two times and then bringing them to a professional cleaner. You’ll always get them back the right size, color, and you will save the environment, too. In fact, dry cleaners have strict regulations on how much cleaning solution can be used, how it is handled, and where it must be returned.